David Green has worn spectacles from an early age. He studied engineering, working with internationals based in Japan, Italy and France. 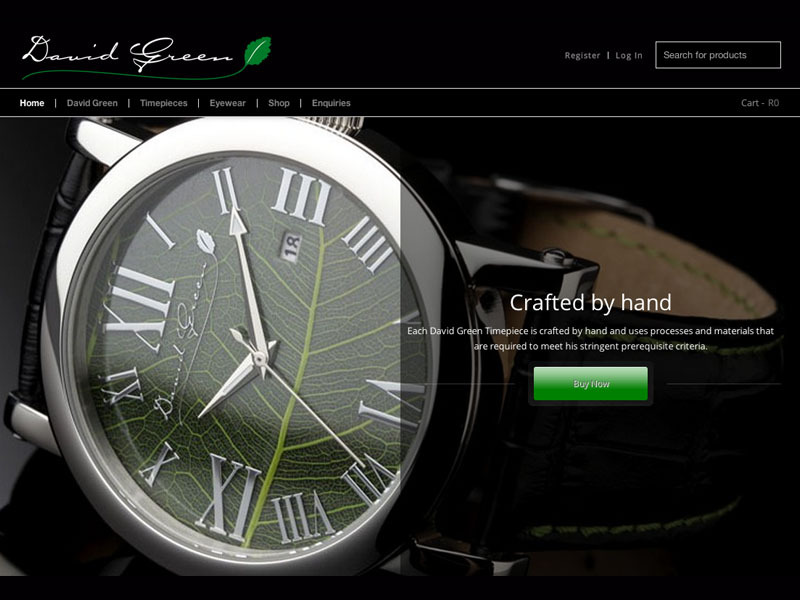 Today David Green applies his keen eye for detail together with a passion for the environment. He achieves a culmination of technology with select materials that result in exceptional comfort for the user. 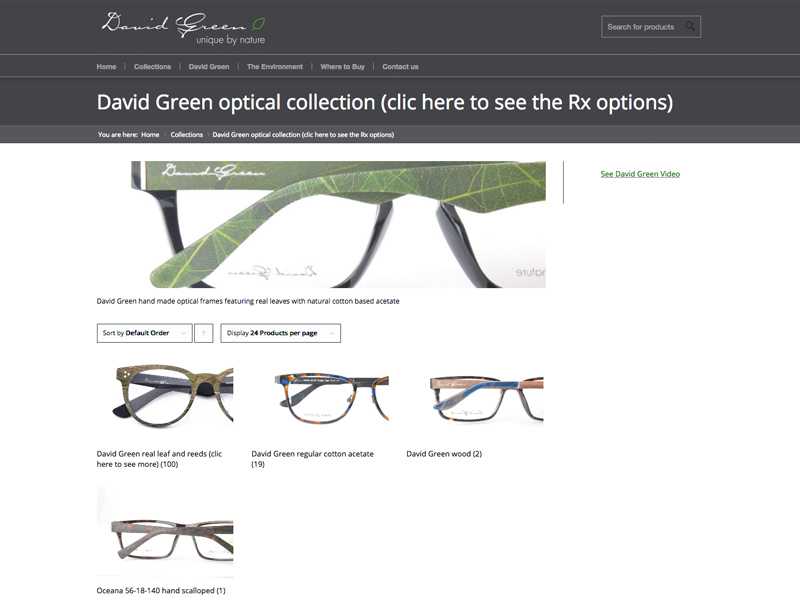 David Green Eyewear is crafted by hand and uses processes and materials that are required to meet his stringent prerequisite criteria. 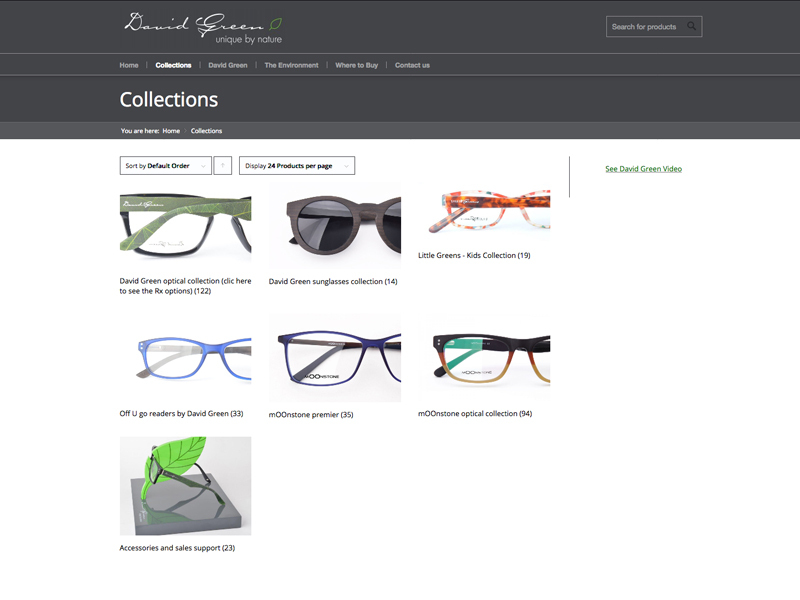 Natural cotton based acetate produced in Europe is selected for properties of comfort and long lasting finish. David selects coatings with RoHS certification that conforms no harmful substances have been used in production. Factory water is recycled. 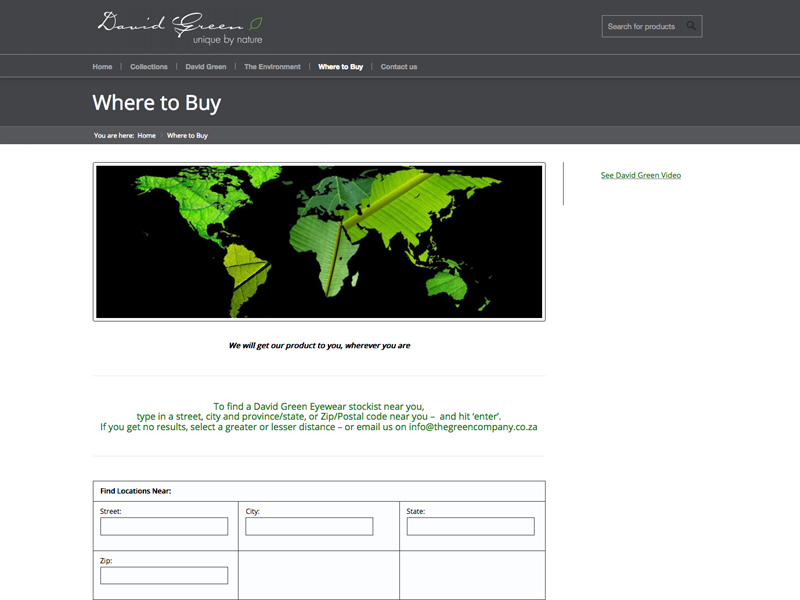 Hinges and components are sourced from Italy and Germany. Nose pads from France – this is necessary in order to achieve the superior action that is notable in our eyewear. It frequently takes David and his design teams a year of preparation and trial before a frame is well thought out and launched to market. It is this depth and care that delivers comfort and elegance for the individual. All frames are designed in Cape Town.